The popular picnic season starts in our Relax Park in the spring! 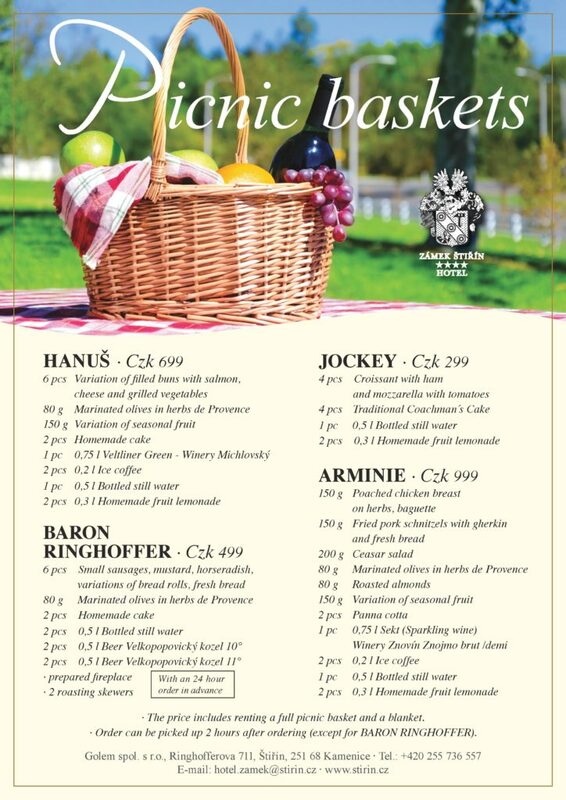 Order your picnic basket from the menu of the Atis Restaurant at phone no: 255 736 557 in advance. We will take you to the Relax Park by a golf cart and you can enjoy goodies with your family and friends in the beautiful countryside of the English Castle Park.